"Helping people through service to our community"
Fernando & Alexis at the 2019 Silver Shield banquet, an event honoring the Whittier Police Department. Whittier is growing and evolving. It has many resources, like College Bound High School Seniors, City Recycling Program, & the Housing Assistant program. The amount of educational resources that are publicly available is intimidating to many. And although the City of Whittier does its best to communicate City resources, there is much room for improvement. If I am elected to City Council you can count on more accessible educational resources on Social Media, at Community Events, & at City Hall. There are many mentorships, scholarships, and youth development internships that receive no applications. My mission is to provide more opportunities for Youth to mature in job trainings, college programs, & entrepreneurship. Whittier will soon have a family of new of local businesses at the Groves in Whittier. Whittier needs an experienced business owner to help lead our community through this process. By collaborating with the Chamber, supporting the Uptown Association, & promotion of Whittier local business, I will serve our community. Business is my cup of TEA. 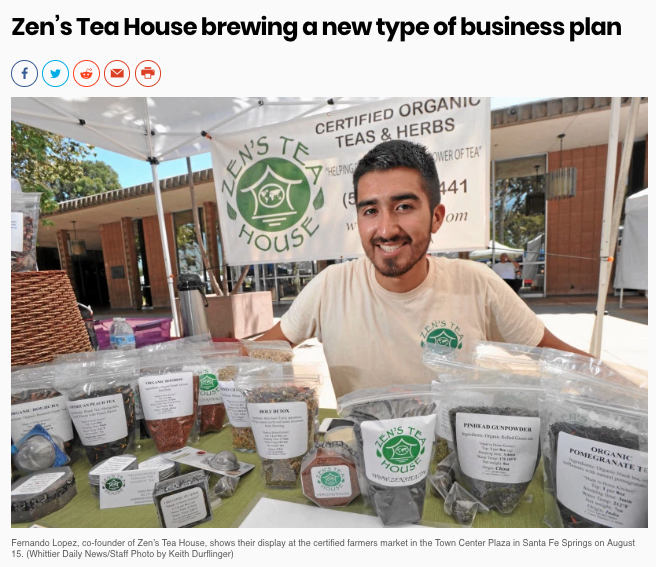 Growing up in Whittier I recall how the businesses in my neighborhood played a huge part in my young life where ultimately I would become: a local business owner. By voting Lopez_4_Whittier you can count on me to support Whittier business with integrity, honor, & transparency. You can learn about my business by Clicking HERE. “Helping people has always been a passion of mine. If elected to City Council I promise to always but my City first, with integrity, honor, & transparency” - Fernando, District 1 Whittier City Council Candidate.